Hi-energy food. 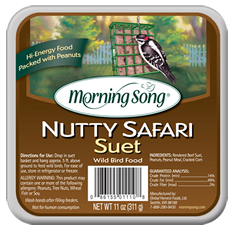 packed with peanuts especially attractive to woodpeckers, jays, chickadees and nuthatches. For ease of use, store in refrigerator or freezer.